After a long hiatus, I am pleased to return with some exciting announcements! 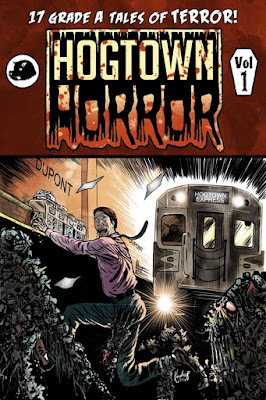 First is the upcoming release of the Hogtown Horror Vol. 1, for which I contributed the cover art, and a story (Illustrated by Andrew Kwan and coloured by Tim Lai). Hogtown Horror, is a collection of horror stories intended for mature audiences-- a love-letter to the genre, and a celebration of horror's past, present and future. This project was successfully funded in Kickstarter and will be released in the next couple of weeks. For more information, visit the Hogtown Horror Kickstarter page. 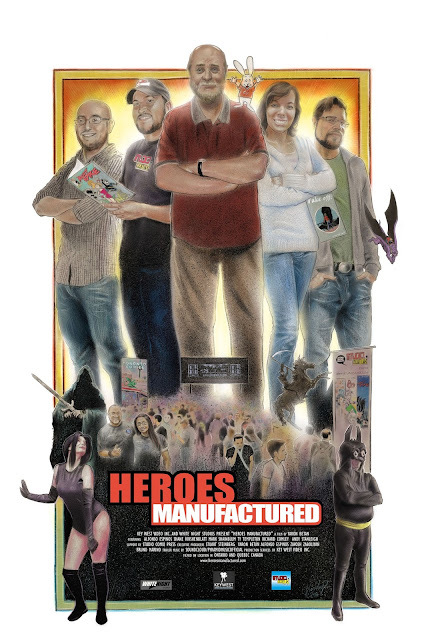 I had the honour and privilege of illustrating the official theatrical release poster for Heroes Manufactured, a documentary about independent comics creators, and the convention scene by Yaron Betan. I was among several artists to be featured in this film (alongside Ty Templeton, Alfonso Espinos, Meaghan Carter, Andy Stanleigh and many more). The film will be released later this year (or early next). Please visit the official site for more details!